Removable appliances may be used to move selected teeth, to hold selected teeth in place, to influence growth of the jaws, and to influence tooth eruption. They are often used in conjunction with fixed appliances. Removable appliances cannot be used to treat all orthodontic problems. It takes skill and experience to recognize conditions that can be successfully treated with removable appliances. Because the patient can easily remove the appliance, good compliance is required to achieve the desired outcome. Once the teeth are moved into their correct position, the braces are removed. The next step is to use retainers to hold the teeth in the desired position. 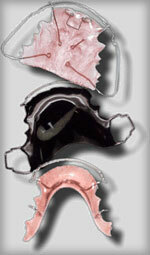 Retainers must be worn as instructed or the teeth WILL move back toward their original positions. Remember: wear them in your mouth, not in your pocket. Retainers work when you follow our instructions. Clean your retainers! After meals, clean all parts of the retainer with a tooth brush. Handle your retainers with care. Retainers are easy to lose. If you take your retainers out, always place them in your retainer case for safety. Call us at ☎ Snyder Family Dentistry, LLC Phone Number (503) 585-8420 with questions about orthodontic treatment or removable appliances such as retainers or to schedule your appointment with Snyder Family Dentistry in Salem. Salem Dentists, Dr. Nathan Snyder, Dr. Luisa Snyder and Salem Pediatric Dentist Dr. J. Chris Martin are dedicated to providing you with a pleasant visit and results that you're proud to show off. Call Snyder Family Dentistry, LLC Phone Number (503) 585-8420 with any questions or to make an appointment.